If you complete Lia's quest, this will take you to the end of the demo. You may want to wander around and find other quests before completing this one. Furthermore, demo filesize is getting bigger and bigger on every new release. That's why I only share the Windows demo on this post. If you're really interested in Linux/MacOS demos, send me a mail/comment/contact form/whatever to tell me. 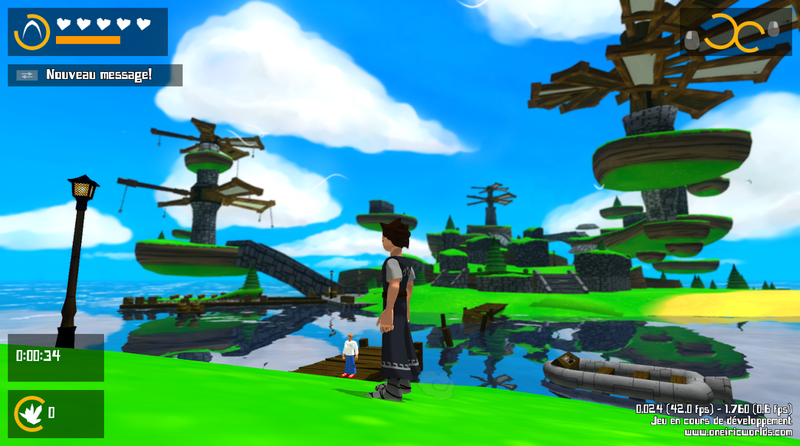 1 new place: Aqualums (not playable in the demo, but you can see it). See the dedicated post here. The color of the slingshot target is not always accurate depending on what you aim. Completing Lia's quest directly leads to the end of the demo. You may want to postpone this one. Environments are still a bit empty.